Today I am sharing a quick card I made using some of my favourite Avery Elle products. This month is Avery Elle's first birthday and to celebrate, all week the DT is using their favourite products. Due to the custom nature of this set, it will not be available for purchase in the store. The Petals & Stems, and Handwritten Notes sets have to be my favourite. 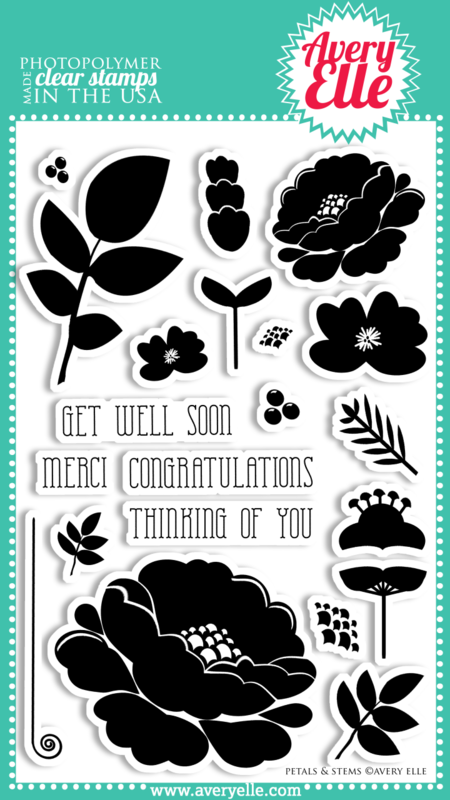 I am also loving the matching Petals & Stems dies. Great card! I love those bold, beautiful blossoms. Beautiful! 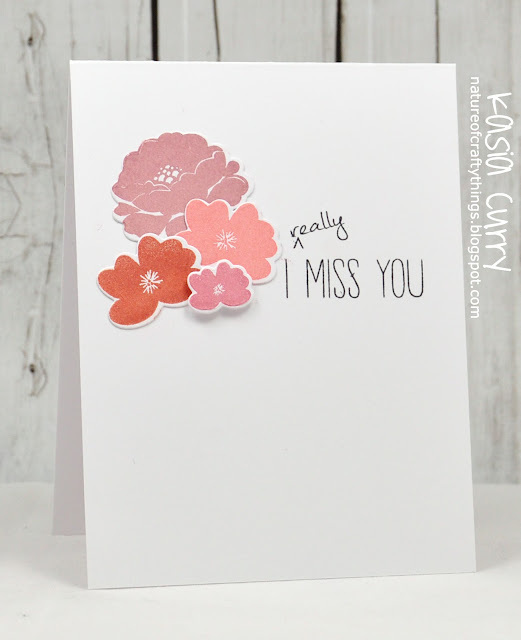 Love the colours you used on your flowers... great CAS card. 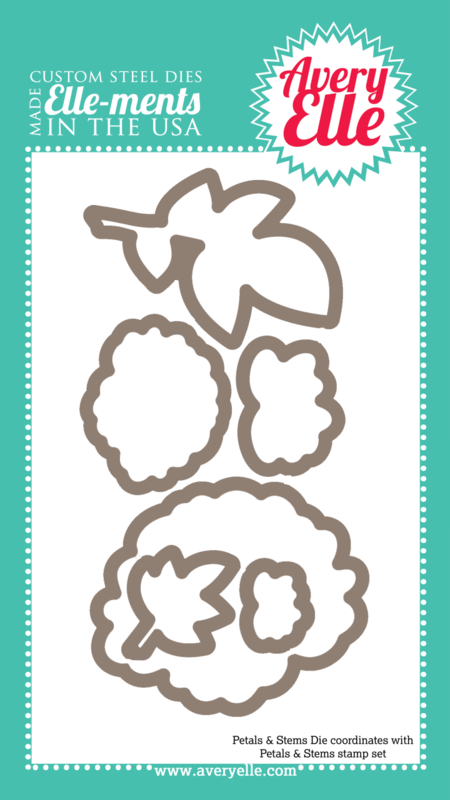 I love this sentiment stamp set! And those pretty flowers! Love your card. Very clean and pretty! Lovely CAS effect. I would not have thought to use those colors together...but they work so well!!! Such a great card Kasia! I totally need those die cuts to go with those Petals and Steams stamps...already fussy cut them out twice after the dies were released!!!! Beautiful card! I love how quick, easy and versatile it is - pure genius! Oh, I LURVE Avery Elle!!! If I could have that custom set, I would be in hog heaven! 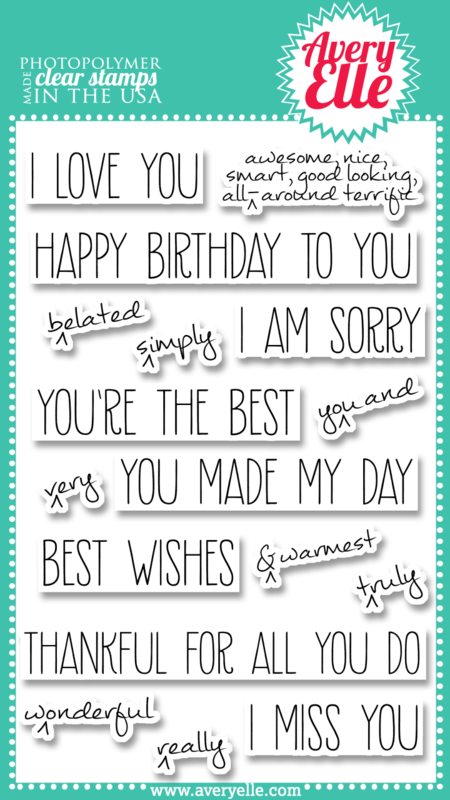 This card is wonderful, and so is that sentiment set! Oh, yeah, I'm a follower!! WOW, love the card! And that handwritten notes set is fab! what a great prize too - very neat! what a gorgeous, fun, super awesome card! LOVE the bunch of flowers! and the sentiment is so great! i love that little arrow up with the inserted word! so cool! love the colors too!! I love this! Perfect CAS card! Gorgeous card, Kasia! And such an amazing prize! Beautiful card! Love that sentiment stamp set. This prize set is so cool! I love your card and the sets you chose, too. Fun! Another creative card Kasia! The prize from Avery Elle is so unique! The winner will have a one in a million stamp set! I would love to win that stamp! 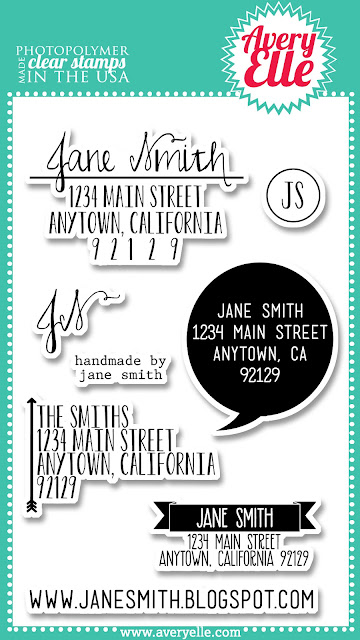 Love Avery Elle stamps! Love how clean and simple your card is!